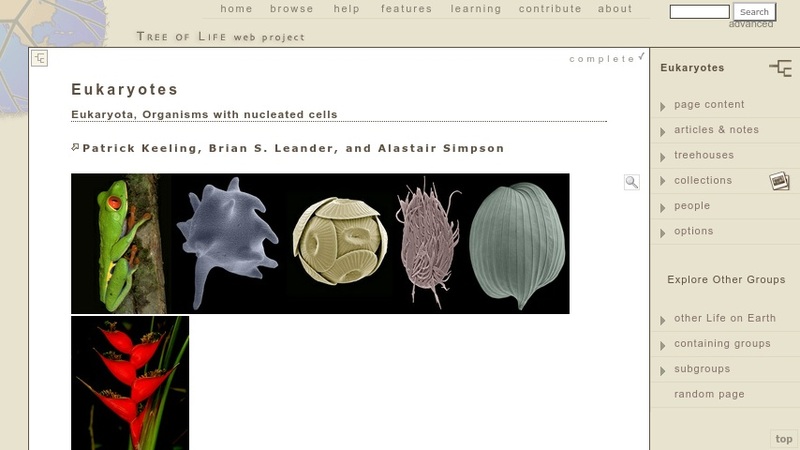 This page provides an overview of classification and evolution of eukaryotes. Topics include the defining characteristics of eukaryotic cells, the role of endosymbiosis in cellular evolution, and the current understanding of phylogenetic relationships among eukaryotes with a clear discussion of areas where uncertainty remains. There is also a lengthy bibliography of primary scientific literature relevant to evolution of eukaryotes. This page would be a good jumping-off point for undergraduate students and teachers.